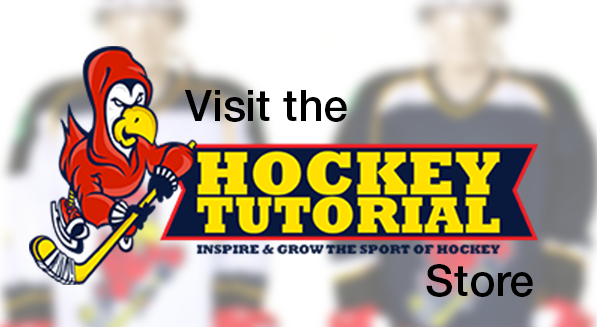 Wondering What is the best hockey stick for beginners ? 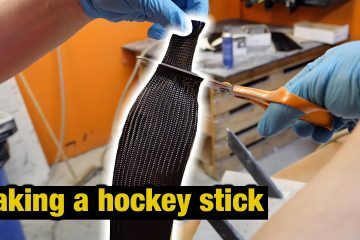 This guide is made to make it easier for you to buy a hockey stick. 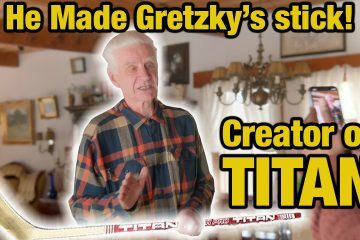 The different factors to consider when buying a hockey stik will be explained here. A good hockey stick fits both your level your strength and playing style. The shaft is made of wood or other types of materials. – Sticks with a wooden shaft is cheapest but when the blade is worn you have to replace the whole stick. Wooden shaft are stiffer and heavier than other types. – Other types has a shaft of a composite material (aluminum, carbon-graphite, kevlar or titanium). When the blade is worn you can replace the blade alone without having to replace the shaft. Composite sticks are much more expensive, but they last longer and the weight is lower. The rignth lengt of the stick is very important for your play. A short stick gives better control and faster puck handling, while a longer stick allows you to shoot harder and longer. Many offensive players prefer a shorter stick while defensive players often prefer a little longer stick. When ever the length of the stick is given it is always the length of the shaft alone (and not including the blade). To determine the right length of the stick hold the stick with one hand wearing your skates. Bend the arm sligthly and keep it close to the body. If the toe of the blade points a little upward the length is correct.When you hold the stick in front of you with the blade toe on the ground you can find the right length of the shaft. 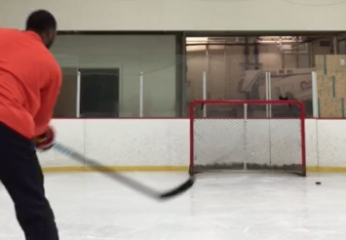 With skates on: The end of the stick can max reach the chin. 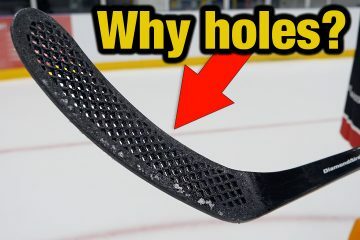 Without skates: The end of the stick can max reach the tip of your nose.Tip: Some hockey players buy the shaft a little to long so they can cut it down to the right lengt. The stiffness of the stick (or stiff) is important in determining control, power and persformance in your play. 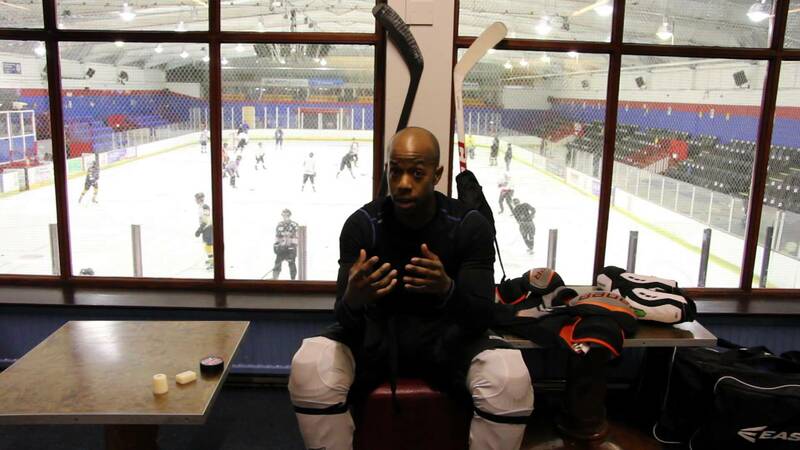 Beginners are recommended to use a stick with medium stiff in order to have some feeling with the puck/ball; the feeling is easily lost if the stick is to stiff. Bigger and stronger players are recommended to use a stick with higher stiff in order to use their strength when hitting the puck/ball. Sticks often comes in medium stiffness (85 flex) and in extra stiff (110 flex). The stiffer the stick the heavier they normally are. Ice hockey blade are normally made out of wood, and some times reinforced with kevlar. The Blade for street/roller hockey is normally a composite of wood, ABS and fiberglass with kevlar. There is a difference in the curve and the lie of the blade. For beginners we recommend sticks with little curve and very little lie. Composite hockey stick flex versus wood hockey stick flex: Does a composite stick flex more than a wood stick? 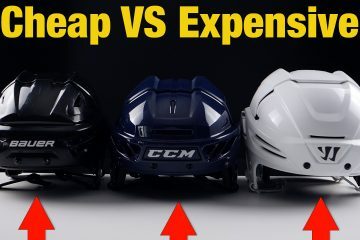 It all depends on how the hockey stick is engineered but the short answers is that a stick flex rating of 100 is the same flex no matter what type of material the hockey stick is made from. The most significant differences between wood and composite stick flex is the flex points which were covered above. Use your normal hand position on the stick and hold the stick with the blade on the floor. 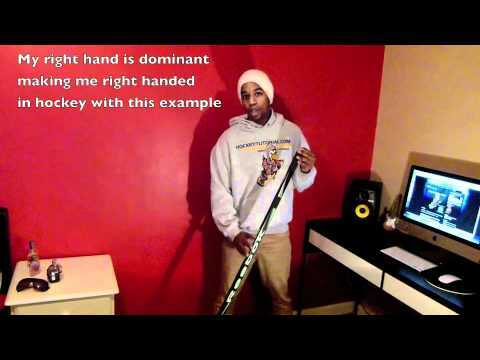 Now flex the shaft of the stick by holding your top hand stationary and pushing down and forward with your lower hand. You should be able to flex the stick about an inch or so without using full effort. If you can’t flex the stick this much then the flex of the stick is too high. If you cut too much of the length off of a stick is will significantly increase the flex of the stick. Imagine bending a full length broom stick. Now if you cut that broom stick in half home much force is required to get it to bend the same as the full length stick? A whole lot more that is for sure. This is also what happens when a hockey stick is cut down a significant amount. How much is flex affected by cutting off 2 or 4 inches? Here is a chart that provides ROUGH guideline for how cutting your stick affects its flex. 2inches ? 4inches ? 6inches? What is hockey stick Lie? Hockey Stick Lie describes the angle of the blade in reference to the shaft. Your hockey stance sets the height that you typically hold the stick at and that in turn affects the angle that the stick has in relation to the surface of the ice. One way to understand how this works is to hold your hockey stick straight out in front of you in your top hand. While standing straight up, note how much of the blade is flat on the ground (mostly toe). Now squat into a deep knee bend and again note how much of the blade is flat on the ice (all heel). The length of your hockey stick will also have an impact on finding the correct lie. If you start out with a stick that has the correct lie and then cut 4 inches off of it, it will bring the blade closer to you and your blade will be mostly on the toe. In this case your lie to too low. 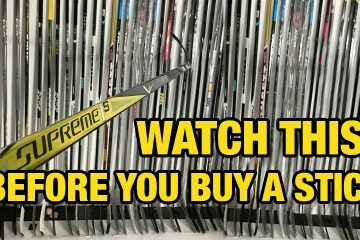 If you start out with a stick that has the correct lie and then add inches to it with a extension plug, it will push the blade further from you and your blade will be mostly on the heel. In this case your lie to high. Lower Lie or Higher Lie? Is Your Current Hockey Stick Lie Correct? Look at the tape on the bottom of the blade of one of your well used sticks. If most of the wear is on the heel, choose a lower lie. If most of the wear is in the toe of the stick, you should choose a higher lie. If the tape is evenly worn across the bottom of the blade then you have a good lie for you. Blade Patterns consist of the dimensions of right/left hand, curve type, curve depth, toe shape and face angle. Patterns are often named after NHL players for marketing purposes. Blade Curve Type describes where the main part of the curve is located on the blade. Curve types are Heel, Mid and Toe curves. Blade Curve Depth is the amount of curve in the blade. A simple way to measure the curve depth is to place the stick on a flat surface with the inside of the curve of the blade laying flat on the surface. You can then measure from the surface to the highest point inside the curve profile. Flat blades have a depth of zero. The most common depths range from 3/8? to 1/2? (9.5 to 13 mm). Blade Face Angle describes how much of the face (or front) of the blade you can see when looking down at the ice. Face angles are referred to as Open or Closed. The more open the blade is, (you can see more of the front of the blade when looking down) the easier it is to lift the puck. Slightly open or closed angles are better for stick handling, catching passes and using your backhand. There are many factors that go into choosing a blade that is right for you. Besides the material, construction, and weight there are plenty more factors to consider. The curve type, depth, loft, lie, and toe shape will drastically change the manner in which the puck reacts when shot, passed, or tipped. Blades come in either wood, carbon fiber or a combination of both. Wood blades will offer the most feel and responsiveness however it does not perform like carbon and is heavier. A carbon blade will offer the highest performance and lightest weight but will suffer in feel. However, advancements in the core and carbon thicknesses are closing the gap. A blade that is a combination of both tries to marry the best aspects of each. Majority of pros use one of two patterns. The most widely used is a slight to medium heel curve that is open and has a round toe. This offers a large flat surface which creates a big sweet spot for off center shots, big slap shots, deflections and one-timers since you have a better chance at getting more “wood on it”. The open toe allows them to get the puck up quick from the slot to pick the top corners and aids in chipping the puck up quickly in scrambles in front of the net. The second pattern is a medium mid cure that is open with a round toe. 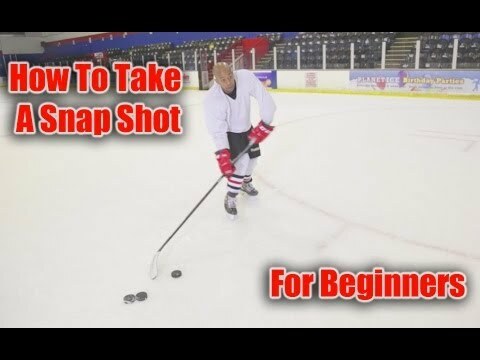 This helps to sling the puck for added velocity on wrist shots and snap shots. The mid curve is better for stickhandling and dangling around defensemen. The curve is the first blade aspect you will want to decide on. Blades curve in three spots; Heel, Middle and Toe. Heel Curve – Heel curves are most popular with players who take mostly slap shots, one-timers and like to sit in front of the net and deflect pucks. Since the blade curves at the heel it creates a large flat surface which creates a big sweet spot for off center shots. Defensemen will reap the benefits when they are being pressured at the point and need to get the puck on net. 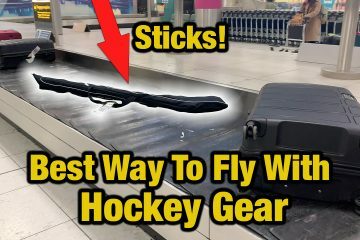 It will also help in one-timers since you have a better chance at getting more “wood on it”. A heel curve is not the optimum curve for stickhandling. Toe Curve – If your goal is to pull off the sickest moves possible, the toe curve is for you. With the blade curving at the toe you are able to cup the puck more for exception control. The toe curve is also great for quick shots as it pulls the puck to the center of the blade. The toe curve offers exception control to pull off sick moves. This is the toughest blade to use. Your backhand will suffer and it is not great for slap shots and one-timers. 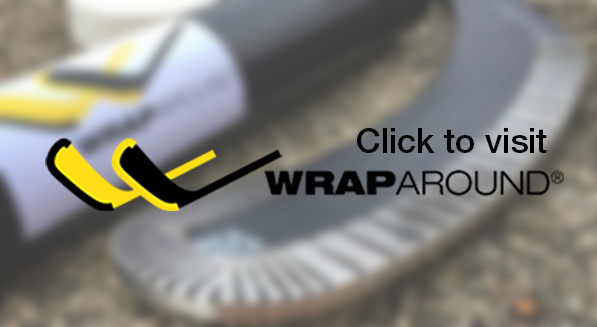 Mid Curve – This curve starts in the middle of the blade and makes a nice smooth pattern. A mid curve is the all around do everything pattern. It is great for puck control, backhands, shooting and passing. Since it does everything well it does not do any task great. For instance the heel curve will be better for slap shots and one-timers and the toe curve offers exception control to pull off sick moves. The mid curve is the most popular of all curves and it is the best starting point for beginners. The depth of the curve is the next aspect to consider. There are generally three different depths; Slight, Moderate and Deep. Slight – A slight curve depth gives you an advantage with slap shots, one-timers, deflections and backhand shots due to its large flat surface. The disadvantages of a slight curve are that it is hard to raise the puck and harder to control the puck as it really does not cup the puck at all. Deep – If you’re desire is to pull off ankle breaking moves then you may want to try a deep curve since it cups the puck for increased control. The deep curve will also help you hit the top shelf from close quarters. Since the curve is deep it makes it much harder for backhand shots, slap shots, one-timers and deflections. The deep curve is not a good beginner’s pattern. Moderate – The moderate curve depth is the most popular. It will help with puck control, raising the puck on slap shots, backhand shots, one-timers and deflections. It may affect backhands some but not the extent of a deep curve. Loft is the angle of the blade from bottom to top. There are generally three different angles; Closed, Slightly Open, and Open. Closed – A closed face will give you more control of your shot and it will be easier to keep it low on longer shots. A closed face will also aid in stickhandling and backhand shots. Slightly Open – This face angle aids in getting the puck in the air. It is the most widely used face angle of the three. It will help with slap shots, deflections and saucer passes. Open – If you need some help getting some air under the puck, you may want to try a blade that has an open face. An open face sill also help chip the puck up quickly in scrambles in front of the net. The lie is the angle which the blade comes off the ice and up the stick. When your lie is incorrect your shooting will suffer. In order to maximize power you need the complete blade on the ice so you can achieve maximum energy transfer. You want to find the lie that suits your playing style. Lie angles are broken into three categories; High, Mid, and Low. High Lie – A higher lie allows you to maneuver and keep the puck in tight and close to your body. This lie will put you in perfect position for to use your leverage for quick hard shots. Check your stick; if there is more wear on the toe then you need to go to a higher lie to get the heel down. Mid Lie – Allows you to still keep the puck close yet still maintain control of passes and shots at a longer reach. A medium lie is versatile for all shots and will also allow you a full range control for stickhandling and passing. Low Lie – A Lower lie gives you maximum control with longer sticks and lengthens your reach. Will open up more room for large passing lanes and is the optimum angle for slap shots. Check you stick; if there is more wear on the heel then you will need a lower lie to get the toe down. 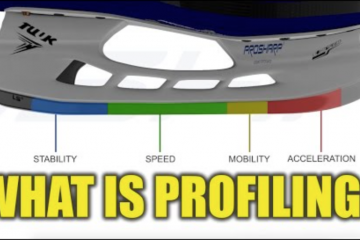 The last factor to consider is what type of toe you want on your blade. The toe shape is the least important of all the aspects. The higher level you play than the more it will matter to your game. There are two basic toe shapes; Round and Square. Round – A round toe will aid in pulling off some more advanced moves and allow for greater puck control. Square – A square toe has a bigger surface area so it make it easier in receiving passes, taking one-timers and collecting the puck off the boards.